The Galaxy and Primex brands can be defined by two simple words – "work tires". Both Galaxy and Primex tires can be found on equipment in over 120 countries spanning 6 continents. All Galaxy and Primex off-the-road tires are Purpose Built – Application Specific. What does this mean? 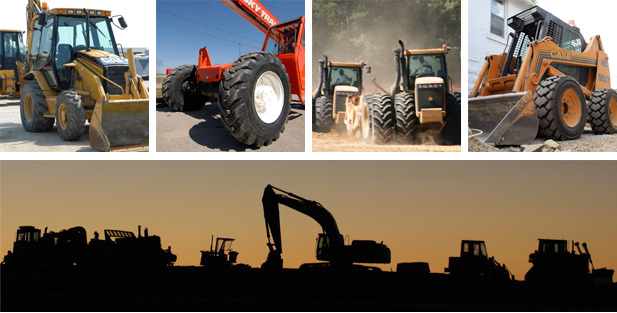 Focused on application based product development, our engineering teams have successfully put together a comprehensive line of advanced tires for a wide range of industries including Construction, Mining, Forestry, Agriculture and Industrial. Drawing on decades of experience in the industry, our tires have been perfected through years of intensive research and development. Each and every Galaxy and Primex tire exceeds international quality standards set by different organizations and their quality parameters are checked by conducting tests in the field and laboratory. Galaxy and Primex tires are synonymous with hard work which is why hard working people choose our tires to help them get the job done.